Our glass-panelled back door seems to have been a magnet for interesting insects just lately. The small fly pictured at left we thought at first was a mosquito, but Karen Retra from the Wild Pollinator Count suggested on the BowerBird website that it may in fact be a non-biting midge (family Chironomidae), and so far no one has disputed that. 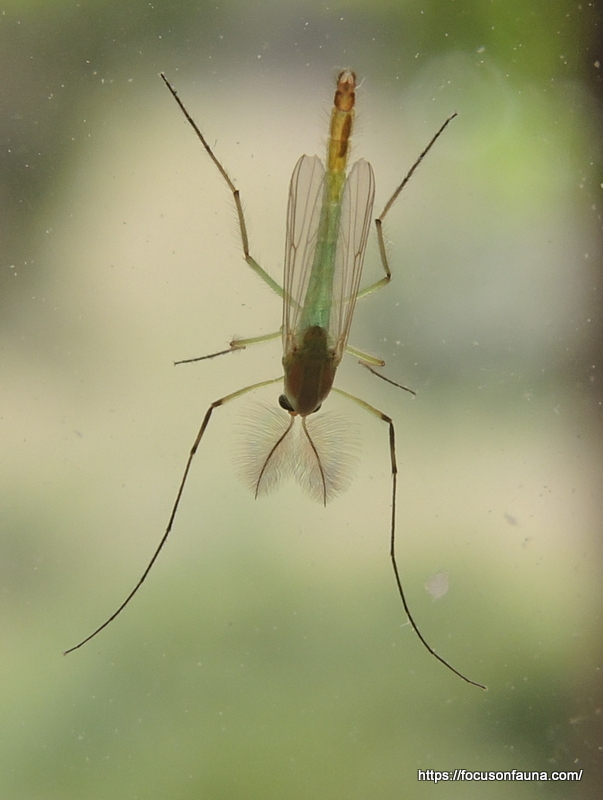 If so, it is a nectar feeder and potential pollinator, although not all adult midges actually feed. But with those feathery antennae (which indicate a male) plus a hairy abdomen and rear legs, it is easy to see it being an efficient pollen collector. Click on the image for a closer look. 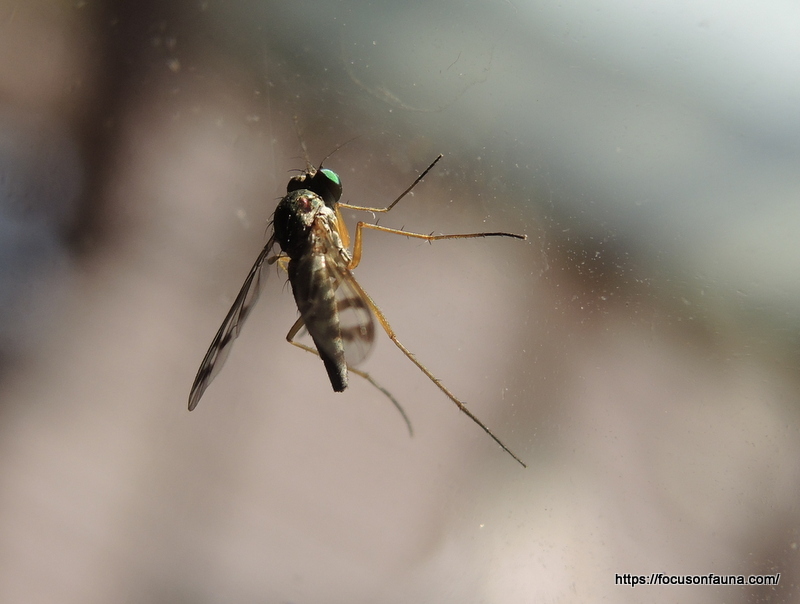 Then we noticed the small long-legged fly (family Dolichopodidae) pictured at right with green eyes, striped abdomen and patterned wings. Any further identification suggestions for this one would be welcomed. Another non-fly insect keen to have a peek through the door was this small frail mantis nymph at left, which was only about 4cm long. 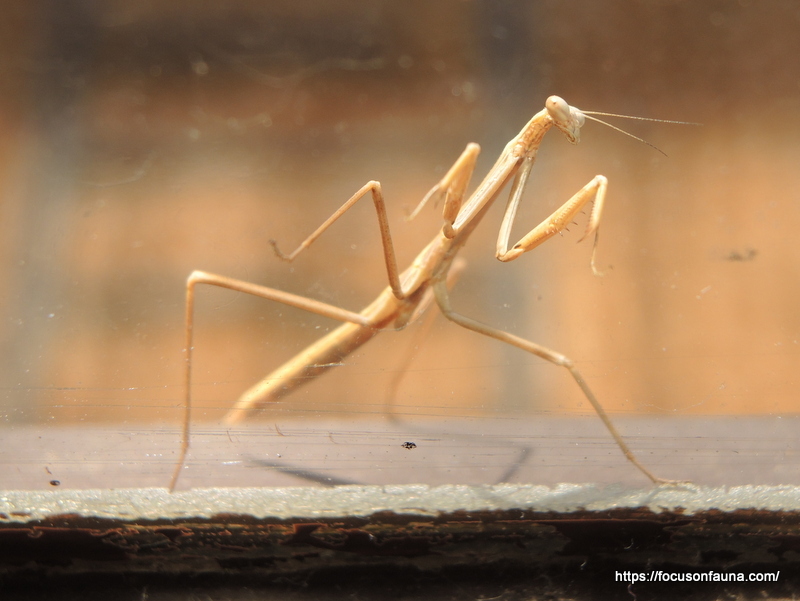 We thought about cleaning the door for better photography, but then perhaps the dirty glass is what these insects find attractive?! Great photos and story! Cleaning windows is over rated!! !